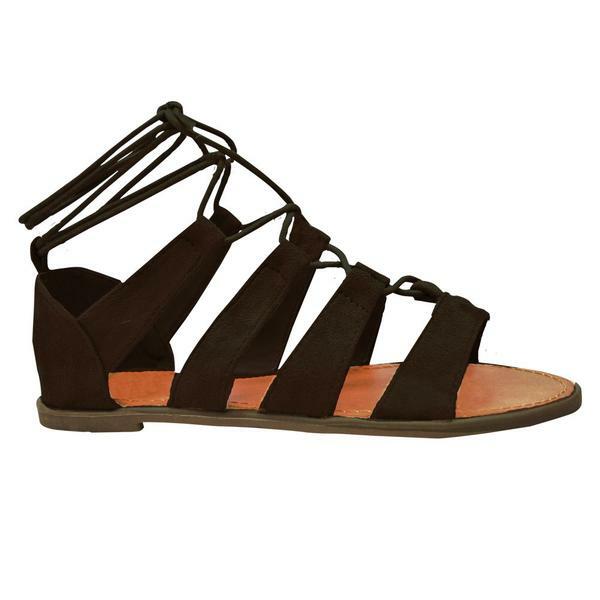 Our sweet little Callie sandals are just what your summer requires! Flat-soled and comfortable, these gems exude quiet confidence and timeless style borrowed from ancient Greece. 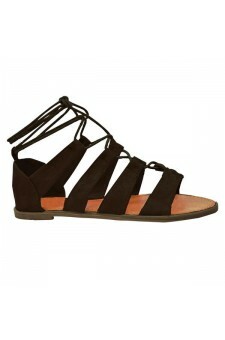 Suede straps cross your toes and rise up the sides of your feet, then are laced up the front and around your ankle. A thoroughly great look in black or tan. You’ll want to get yourself a tunic dress to really show off these sandals. One of those slinky, one-shouldered little numbers that was designed along fashion lines that are thousands of years old. Of course cuffed jeans and a rumpled linen button down would look good too. As would shorts and one of those boho off-the-shoulder lace tops. Just add funky jewelry! Available in sizes 5 to 11. Great! Feels comfortable and fits good! I priced sandals like these at a local shoe store, and they were $35. These sandals fit perfectly. I\'m glad I waited and looked on Amazon before purcgasing!! Best gladiator I have ever owned. I kept saying, \"it is soooo comfy and lit\" when I first tried it. I\'m shocked how wonderful it feels on my feet and walking around plus so stylish!